The Godmanchester Community Association is a group of people dedicated to encouraging community activity and the building of an enjoyable environment in which to live & bring up a family. We organise local events such as Godmanchester Gala Week which culminates in Godmanchester Gala Day, an event held annually since the Queens Silver Jubilee, this is followed on the Sunday by the Godmanchester Picnic in the Park, an open air concert at which friends and neighbours chill out to a variety of live acts. 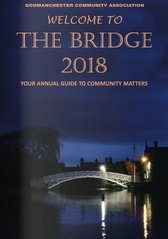 We publish the Bridge Magazine annually which includes a list of all the local groups and organisations affiliated to us who help make Gala Day and Godmanchester what it is. Every November the 5th we put on a Bonfire and Firework display in Godmanchester at which friends and neighbours come together with their children to celebrate this great British tradition. Our membership is open to all residents of Godmanchester and all are welcome to join our committee and assist us in achieving our goals. New ideas and activities are always being sought and we encourage young and old to become active in our endeavours to ensure the Godmanchester Community Association can continue to provide its service to future generations. 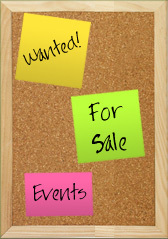 Please feel free to get in touch via our contact page with any suggestions / questions.